Formula One’s new Liberty Media overlords are as tired of seeing only a handful of F1 teams ever win, as many of us are. Smaller teams can’t compete with the big-budget efforts at the front of the grid, so F1 may enact a budget cap, reports Racer. Teams expect to receive a budget cap proposal by the end of the year. Rumors of a $150 million figure have been floating around as the limit for the past few months, Racer notes. That is below the budgets of dominant teams like Mercedes, Red Bull and Ferrari but above the Saubers and Force Indias on the grid. The cap itself would be regulated by the FIA. It probably won’t affect us at all – and probably won’t affect half the grid at all if the truth be known. But what it will do is bring us closer. Would Force India be willing to have a go with a $30 million budget difference to the big teams? And the answer’s yes, as opposed to the $230m difference that we’ve got today! F1's current power unit regulations end in 2020, so that would be a convenient time to introduce a budget cap. Both Fernley and Steiner felt like easing everybody into it with a sliding scale might be more appropriate, just to wind the bigger programs down gently. Either way, it’s obvious that no other series really wants to be in the predicament the World Endurance Championship’s top class is staring down at the moment, where exponential budget growth priced out all but one of their existing works competitors. F1 has already struggled with high costs driving out smaller teams in recent years with few others able to replace them on the grid. Gobmeier also called for cost controls to make F1 even feasible for new entrants to consider. VW brands have been rumored to be interested in F1 over the past few years and even connected to a possible purchase of Red Bull Racing before the Dieselgate scandal. If anyone would know first-hand what’s keeping new manufacturers and teams out, it’d be them. 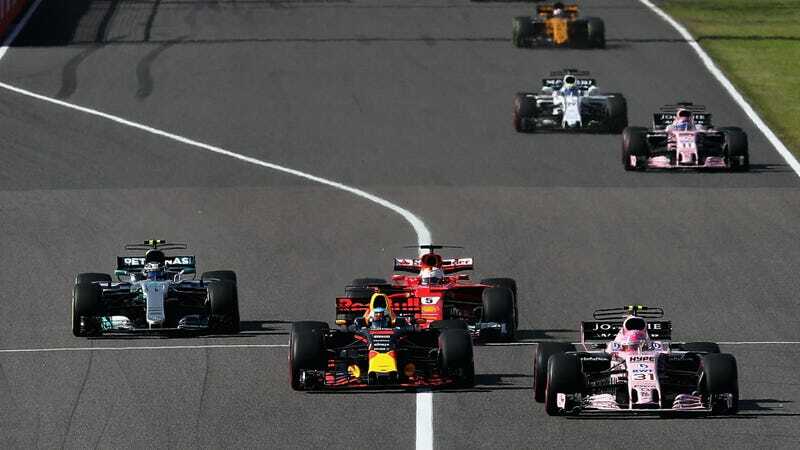 While series with few restrictions tend to develop the coolest technology, that need to be the top level of motorsport still has to be balanced with the need to have exciting races that are worth watching. The haves and have-nots situation was one of the biggest things that we felt F1's new owners needed to fix, so it’s refreshing to see them start to have these hard conversations in their first year of ownership.